I'm often asked: are appeals really any different from trials? This is by no means a naive question. Wrapped up in it is the important concept of whether an appeal is really just a second kick at the can for the loser at trial, or a way for the loser to stick it to the winner by dragging out the inevitable, and what are the chances for an appeal court panel interfering with a trial judge's judgment? 1. Appeals are mostly about paper, and trials are mostly about talking. 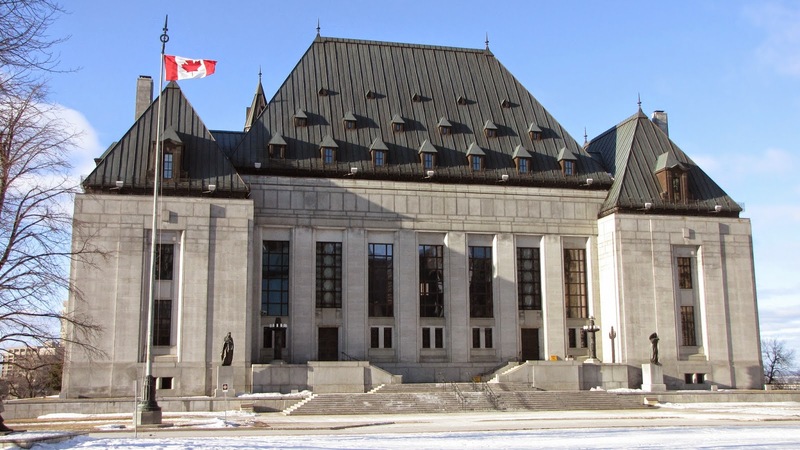 True, some civil trials and even criminal fraud trials can involve a lot of paper, but fundamentally Canada's trial courts rely on viva voce live witness courtroom testimony before a judge. Through those live witnesses, one can introduce paper exhibits, but the paper doesn't usually have a life of its own. At appeals, usually the only ones doing the talking are the lawyers (and maybe the judges, if they're in a questioning mood). By comparison, appeals are all about paper: paper transcripts of the trial testimony, paper copies of the exhibits, paper written argument, paper casebooks of authorities. I say paper, because almost no Canadian appellate court has yet moved to fully electronic submissions as has happened in the U.S. I dream of the day it happens, but as explained to me by one Ontario Court of Appeal justice in response to my clearly oh so naive question on when the court would be moving to ban paper: "I don't even have a computer on my desk, and I write every judgment by hand with THIS fountain pen. 2. Appeals are mostly about the law, and trials are mostly about the facts. Yes, facts count in appeals, and law counts in trials, but it is in appellate courts that most enduring law gets created through the extensive legal argument played out there, while it is the trial courts who are best placed to establish the facts from witnesses they see and exhibits they touch. Thus, when you lose a trial, you're going to need legal errors to appeal, not just that the trial judge didn't understand the facts (though sufficiently serious misapprehension of facts will become an error of law). 3. With appeals you usually get three judges (though occasionally one, five, seven or nine), whereas at trial you'll mostly have only one judge. Is more really more? I tend to think so. With three judges, you only have to convince one of the rightness of your position, and hope that one will him or herself convince one of the other two to see your way of thinking. The third one may be hopelessly set against you from the start, and they'll be nothing you can do to change that - but at least you don't have that one negative judge in single judge trial setting. 4. Your best chance of success is usually at trial, though appeals are by no means a waste of time and resources. For instance, Ontario Court of Appeal stats suggest that as an appellant you've got about a 1 in 3 chance of success on a criminal appeal, and around a 1 in 4 chance on a civil appeal. These really aren't bad odds, but of course you need to weigh them against the cost of the appeal, the importance of the issues at play, and the value in finality - meaning have legal proceedings over, even if they didn't turn out as well as you expected.